As we slowly accumulate photos of the dogs in Europe, (and other places,) be sure to take a careful look as the size. 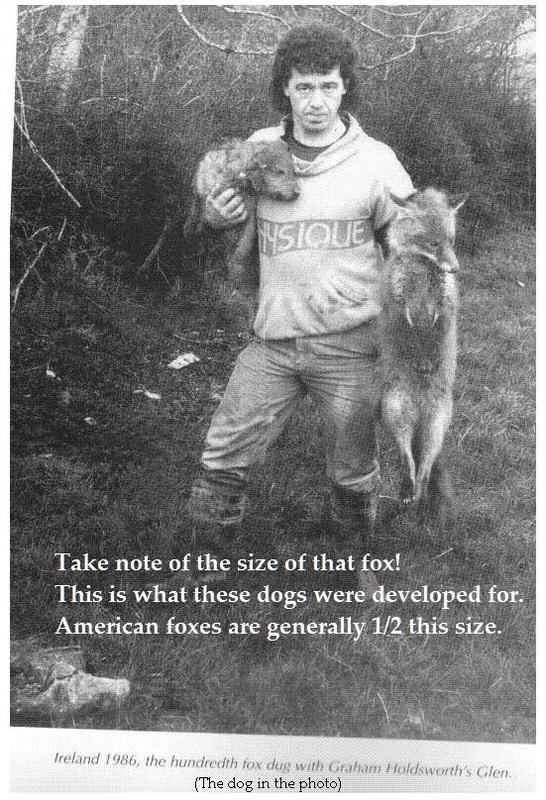 For easy reference just look at the foxes and other critters. Then you start to get the picture. Ask yourself, are those dogs "big" or are American dogs "small?" First up is a photo gleaned from the pages of a great book, Dig Deep, Throw Well Back. We'll add more as we get 'em.